Despite my oily skin I do enjoy using face oils as you can still be dehydrated as well which I often am. 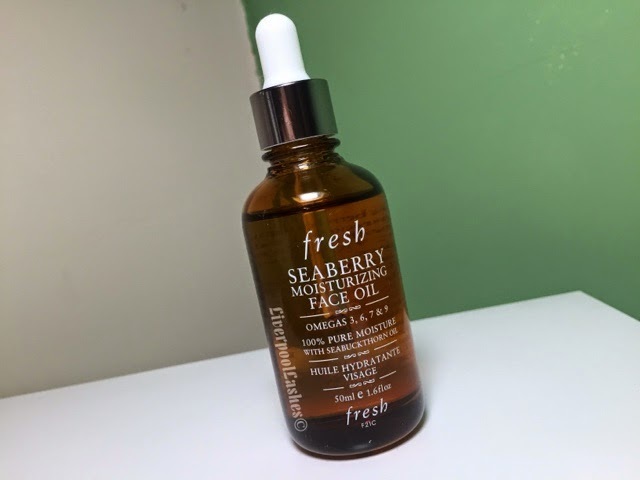 I bought the Fresh Seaberry Moisturising Face Oil from Sephora in Florida last October as I'd some rave reviews on it so I wanted to try it for myself. The bottle comes with a dropper which is handy as opposed to pouring it out onto your hand. I would say that the oil seems to be ever so slightly thicker than a normal oil would be which I quite like as it seems to make it feel even more luxurious. The fragrance of the oil, in my opinion, is not as pleasant however. 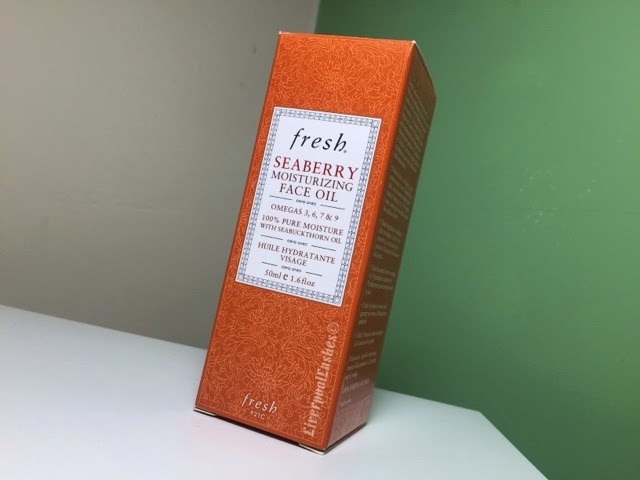 It's difficult to describe but I would say it's very herbal which was originally I wasn't keen on and truth be known, I'm still not however if it's going to nutritious my skin I'd rather it smelt like that then packed full of false perfumes. I apply this oil before I go to bed and leave it to work it's magic. I do think that in the morning it has definitely worked to hydrate and I can imagine many would love this oil. I must admit that for me. For whatever reason, I don't think it's just quote there in terms of the moisture that it provides my skin - it just could have been a tiny bit more. I feel that there are other products on the market that are a fraction more hydrating than this one and for that reason, although I have no doubt it will take me a long time to get through, once this bottle is empty I probably wouldn't repurchase it.